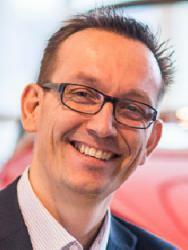 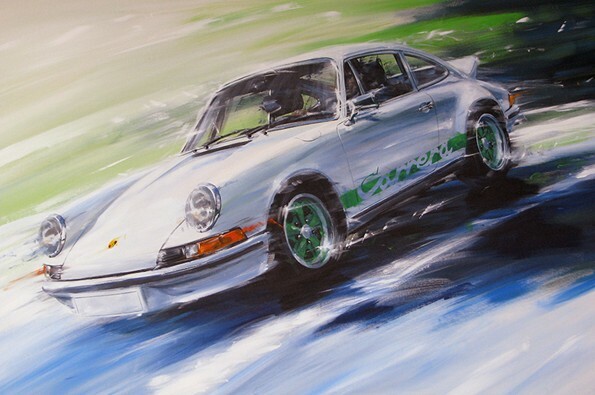 Klaus Wagger was voted into the prestigious Automotive Fine Arts Society in 2013. 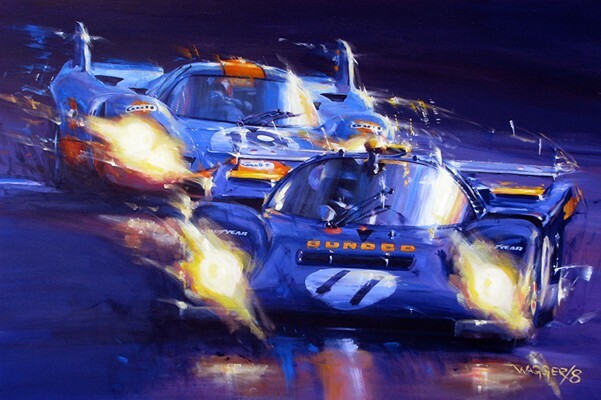 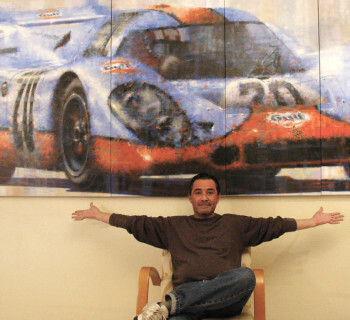 His work has been on display at places like Pebble Beach and GoodWood. 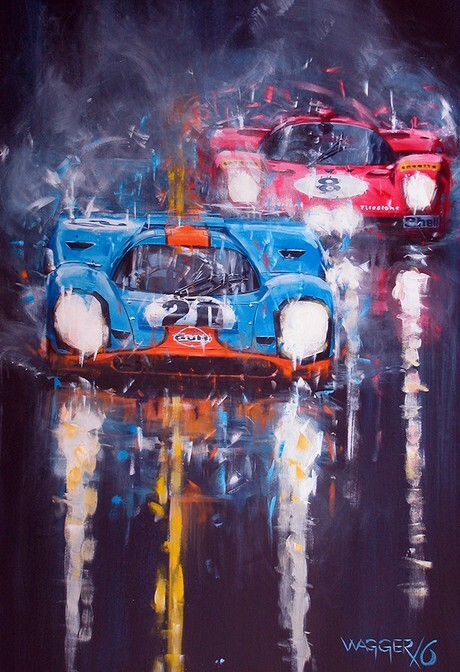 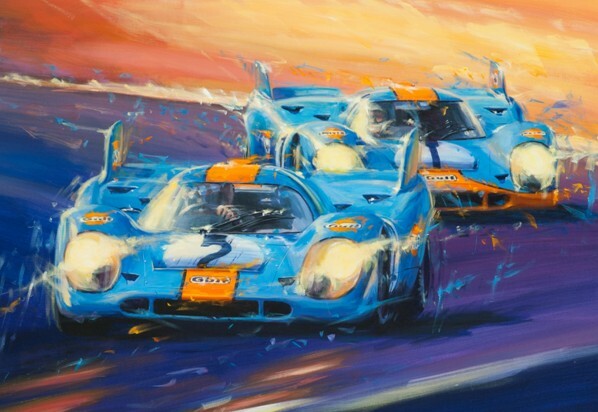 His backgrounds are abstract with strong colours and energetic strokes emphasizing the speed of the cars. 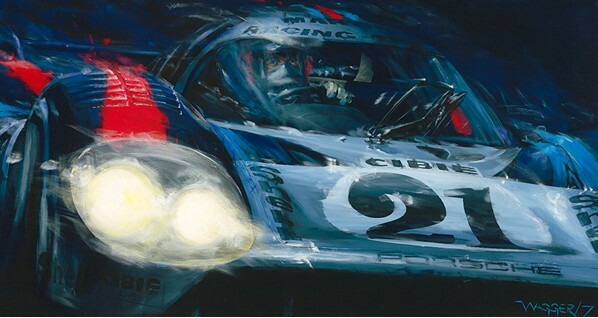 The headlights blurring into a bright, almost blinding spot. 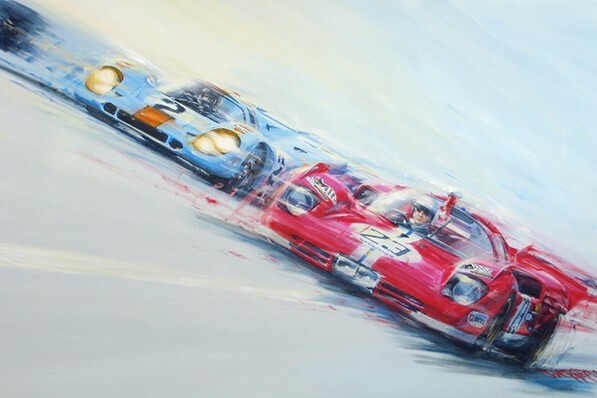 Some of these artworks are for sale. 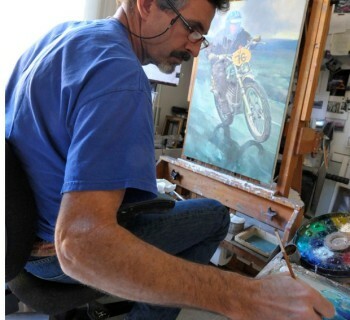 You can contact the artist and see more of his work on his website.